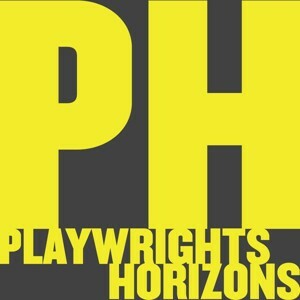 REGISTER NOW for this ONE NIGHT ONLY theater intensive with the Associate Casting Director for Playwrights Horizons, one of the most highly respected Off-Broadway Theaters in New York City. Lisa will have received your headshots ahead of time and "cast" each actor in a theater scene, which you will be sent via email one-two days in advance. The night will start off with a Q&A, and then you will be given a scene partner or read your sides with a reader. You will have a brief rehearsal period and then Lisa will begin working with each actor in a group format. Be prepared for awesome feedback and training that will impact your auditions immediately. Lisa is currently casting for the 2018-19 season at Playwrights Horizons, and The Niceties at the Huntington Theatre. Lisa is always interested in meeting trained actors of all types-all ethnicities-all ages (18+) for their many projects. Casting for over 9 years with Alaine Alldaffer at Playwrights Horizons, Lisa's credits include: The Flick (PH and Barrow Street), Clybourne Park (B'way and PH), Dance Nation, The Treasurer, Familiar, Hir, The Christians, Detroit, Circle, Mirror, Transformation, Stage Kiss, Mr. Burns: A Post-Electric Play, Rapture Blister Burn, Present Laughter with Victor Garber for The Huntington Theatre and Roundabout. TV credits include: Knights of Prosperity aka Let's Rob Mick Jagger (ABC). Other theaters include: Huntington Theatre, Seattle Rep, ACT in San Francisco, Berkeley Rep, Alley Theatre, Arena in DC, Women's Project. Festivals include: Williamstown and Humana. Casting Director credits include: Villa at The Play Company, Smart People Bright Half Life, Matt and Ben for the Kitchen Theatre.